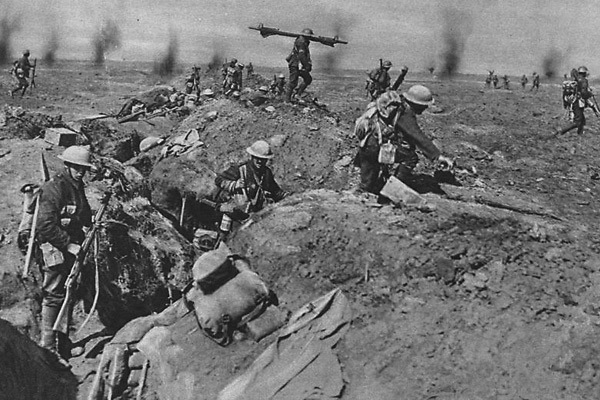 This past summer marked the 100th anniversary of the beginning of World War I, or “The Great War.” Within two months, it had devolved into the stalemate we know as trench warfare. The opposing forces established a line along the Western Front extending from the English Channel to the Swiss border that would not fundamentally change for the next four years. 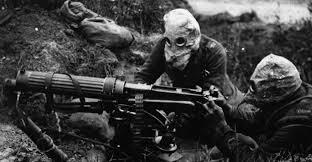 The armies settled into a perpetual clash under the most barbaric and miserable conditions: soggy, frozen trenches, constant bombardment, suicidal attacks against massed machine guns, and hordes of rats consuming the corpses; by Christmas there were over a million casualties. Because of the close proximity of the opposing trenches (in some case, as little as 80 yards) and the extreme danger of being shot if they peeked over the parapets, many men reported never seeing the sky except by looking straight up. They certainly never saw enemy soldiers, except in their rifle sights. But that same proximity allowed for something else, something unpredictable and extraordinary: unofficial, spontaneous cessations of hostility. On Christmas Eve, German troops decorated the areas around their trenches in the region of Ypres, Belgium. They placed candles and Christmas trees on the parapets and celebrated the holiday with Christmas carols. The British responded by singing carols of their own. Soon, the two sides were shouting Christmas greetings to each other. The word went out all along the Front. 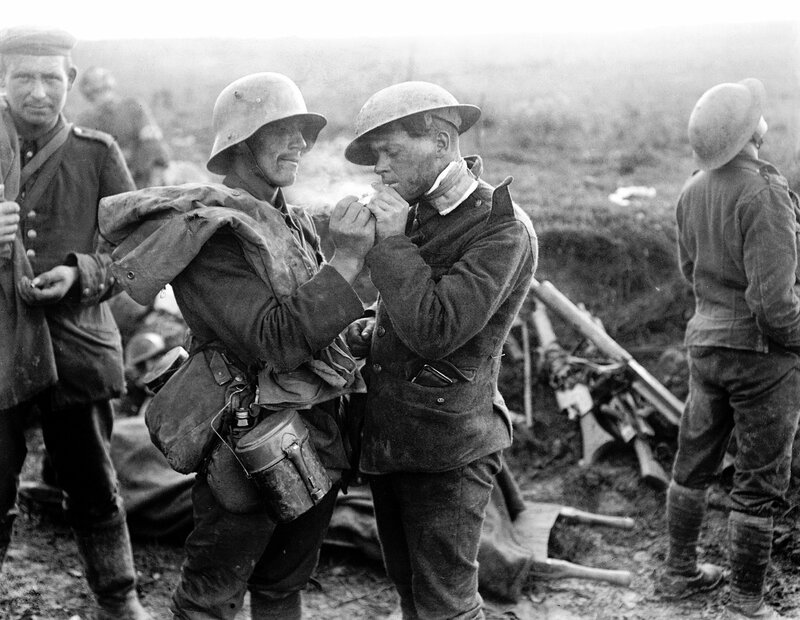 On Christmas Day, men on both sides – perhaps 100,000 of them – disobeyed their generals, rose out of their trenches and met their opponents face to face in No Man’s Land, where they exchanged small gifts such as food, tobacco and alcohol, and souvenirs such as pictures of loved ones, buttons and hats. The artillery fell silent. The truce also allowed a breathing spell for the dead to be buried. Joint religious services were held. Football games occurred, giving one of the most enduring images of the truce, which lasted until New Years in some sectors. Was the Christmas Truce unique? There had been other truces, but none so universally subscribed to, and there would be few others. These men chose to emphasize their common humanity and common suffering, rather than their hatred. And this is how we choose to remember them, because, for a few days, they created a model for us all to emulate. In a time when the world was forgetting its long heritage of ritualized combat and descending into a time in which the fathers were literally sacrificing their children to the war gods, these men briefly acknowledged the humanity of the Other. It was the last moment of the nineteenth century. Generals on both sides, horrified at this display, made sure that it wouldn’t happen again, in some cases by removing or punishing the units that had participated. They made sure that the war would go on, and for four years an average of seven thousand young men would die every single day. But there was one day when common people ignored the hatred and the will to destroy. The truce occurs in several movies, including the excellent 2005 fictional drama Joyeux Noël. For more in-depth reading, I recommend Silent Night: The Story of the World War I Christmas Truce, by Stanley Weintraub. There have been many significant truces throughout history when opposing sides agreed that the rituals of tending to the dead had higher priority than those of the War God. Truce scenes occur in the Odyssey that reflect the very long tradition of halting the fighting, or at least much of it, every four years for the Olympic games. Here is a link to a curious and isolated event that happened in World War Two. 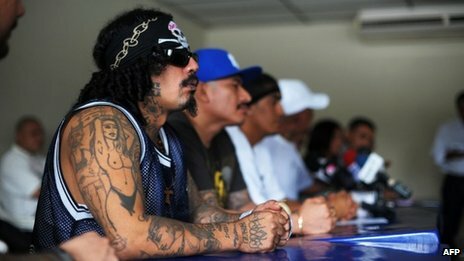 In 1992, after some ten to twenty thousand young people had been killed in gang violence, the Los Angeles Bloods and Crips called a truce that would last for over ten years and resulted in a major decline in violence. 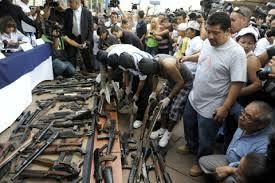 Gangs in Honduras and El Salvador, sick of their own carnage, copied it. It is customary to wish each other “Peace on Earth” at tis time of year, yet a glance at the news always threatens to drop us into despair. Well, how about calling a truce at least? And who better to suggest it with than the warring voices in your own head? A truce is not necessarily time-bound; it can always be extended, from one moment to the next. For these holidays, I wish you this kind of truce. If world violence is ever to end, it will happen when enough individuals determine to call a truce with it in their own souls and no longer need to inflict it upon others, or watch others harming each other.